I know, I know, what’s it with all of these record breaking posts today X? It’s simple really, this post exists merely to warn you of our impending robot overlords. If you like, you know…..Star Wars and the most iconic building blocks of all time. Warning: this post may contain gratuitous amounts of balls and/or walls. I don’t hate casual gamers, I think that bringing them into the fold is something that happens with every generation. What I DO hate is when we take an already successful game with very approachable gameplay and dumb it down for the rest of the world to enjoy. 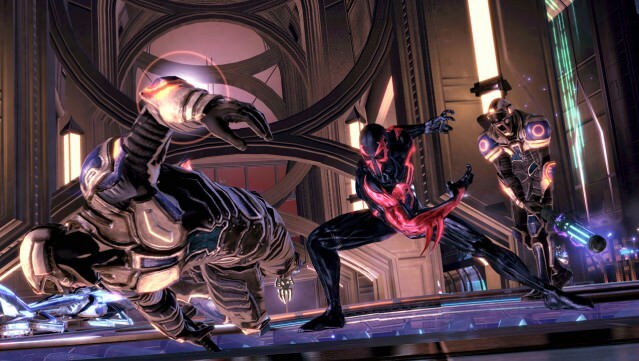 Spider-Man 2099 in Shattered Dimensions?